The First online betting site is the first to pay its affiliates according to a report in the October issue of CAP Magazine. The world’s leading publication for gambling affiliates has listed Intertops.com as the fastest paying casino affiliate program. The magazine, published by CasinoAffiliatePrograms.com, reports that a webmaster poll showed "getting paid quickly and reliably" is affiliates’ number one criteria for judging affiliate programs. The same story reported that Intertops paid their affiliates faster than nineteen other programs mentioned. "This recognition from CAP Magazine shows that ‘Trust the First’ isn’t just a slogan, but something we really mean," said Michl Posch of Intertops.com. 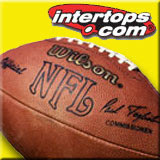 Back in 1996, Intertops was the first sportsbook ever to offer online betting. It wasn’t long before they offered online casino games and online poker as well. The Intertops affiliate partner program has been renowned in the industry since 1999 and established its reputation for quick payment from the beginning. The program pays lifetime commission for all products that are offered by Intertops.com: sportsbook, casino, poker and games. "Intertops sets the bar very high," said Posch. "In a business where partners rarely meet, trust is a key to success. We’re happy about the outstanding reputation that Intertops has earned among affiliates." In January, Casino Affiliate Programs will again recognize leaders in the online gambling business when they present the "Cappy Awards" at a glamorous awards night during January’s CAP Euro conference in London. Intertops has been nominated by affiliates in the "Best Sportsbetting Affiliate Program" category. Webmasters can vote for Intertops at http://www.capawards.com/.